When there’s sharp lightning and sudden sheets of rain, you improvise. Broiled the marshmallows on the graham cracker for 5-6 minutes. 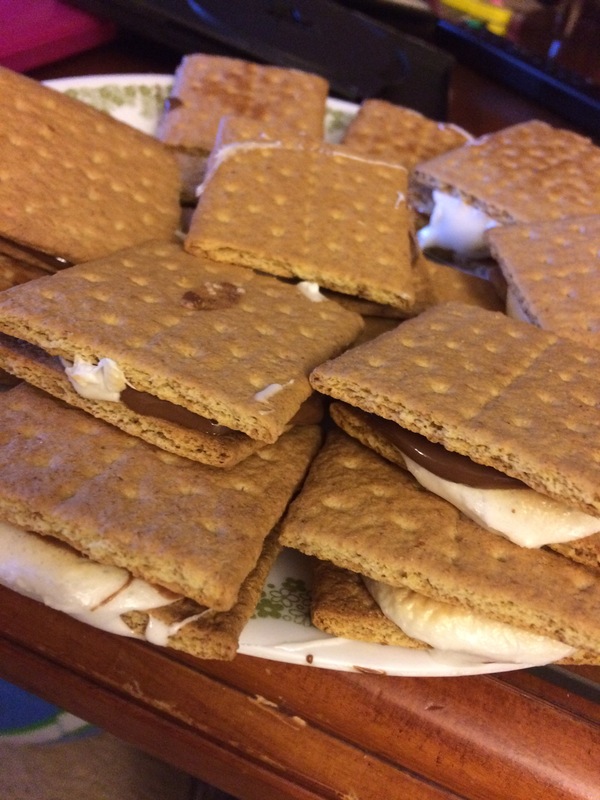 When the marshmallows are golden in top, pull them out and top it with the chocolate and other graham cracker .